The concept of “Strategic Technology Partnerships” has described our approach to business relationships from the very beginning. While it sounds natural to us, like with lots of “tribal language” it may be less clear to those outside our organization who are not yet partners of ours. Here’s exactly what we mean, one word at a time. In a previous blog, I noted how incredibly rare it is for a company to give an honest assessment of how things panned out after an acquisition, both positively and negatively. In the heady first days, there is always talk of synergies, new markets, revenue growth, combined talents, etc. But we all know that things very rarely go exactly as planned, which means that there are surprises (of both the positive and negative variety) to learn from. If only those lessons were routinely and widely shared. In my last blog entry I talked about our brand promise of being Dependable, Dynamic and Durable. Someone got in touch with me to ask how this related to our Core Values, which I have written about in the past. http://blog.techsoft3d.com/blog/bid/177613/Revisiting-our-Core-Values. Last week we announced that we’ve added the Polygonica polygonal modeling kernel to our portfolio of 3D developer tools. I’m excited about that news for two reasons. The first has to do with how we view our responsibility to our customers. The second has to do with Polygonica itself. Allow me to explain. In my last post I mentioned how Tech Soft 3D is a harbinger of where engineering software is moving. We gain a big-picture perspective of the industry through our involvement with so many next-generation applications. While we can’t talk about what specific customers are doing with our HOOPS technologies until they ship their applications, we can share some macro trends that may be of interest. 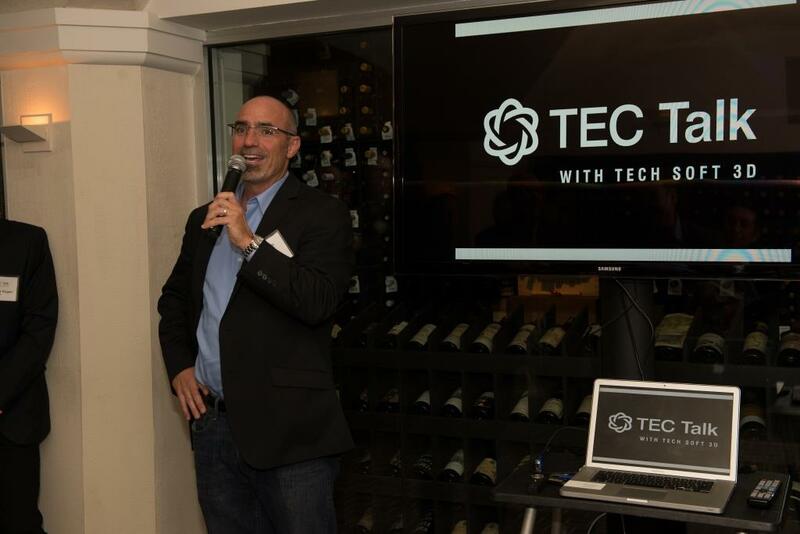 Last week we hosted the 3rd annual TEC Talk in Boston. Even though we were competing with the Red Sox on TV, we still drew a great crowd – and I had so many comments afterward that I just had to write about it. In our quest for excellence, we often find inspiration in our partners. One such example is Geomagic – and specifically, CEO Ping Fu. If you haven’t heard about her amazing life story, check out this article, which includes a brief bio and video clip, and introduces her upcoming biography: Bend, Not Break. We’ll be getting a copy for our own library. She escaped a brutal childhood in China to come to America, and despite terrible odds, eventually rose to the top of her profession to become a leader in the 3D industry. Proof that nothing can hold you back when you’ve got the right motivation and attitude. The term “core values” is sometimes stigmatized as being mere aspirational wall art with little or no impact on a corporate culture. Case in point – Enron’s stated core values were: communication, respect, integrity and excellence. Hmmmm. On the other side of the coin, core values have the potential to serve as an internal metronome that keeps a company in sync. Was the Adobe aquisition worth it? A few days ago, I detailed what we’d learned from our acquisition of the Adobe CAD translation technologies. The next question is, did it work as expected? Was it worth it? The answer to both questions is: Yes, very much so. If anything, we underestimated the specific upsides, but trusted ourselves that we would discover opportunities once we “took the leap.” I’m sure there are even more upsides still undetected, but which will emerge over time. So how'd that Adobe aquisition work out? It's been nearly two years since our acquisition of the Adobe business unit that brought us the CAD data translators (now called HOOPS Exchange) and the 3D PDF file format technology that forms our HOOPS Publish SDK. Those two years have passed quickly, with the technology and the outstanding development team in Lyon, France, quickly becoming a natural and important part of Tech Soft 3D. We’re forever changed.